In Victorian schools, very young children first learned to write their letters in sand trays using their fingers or a stick. 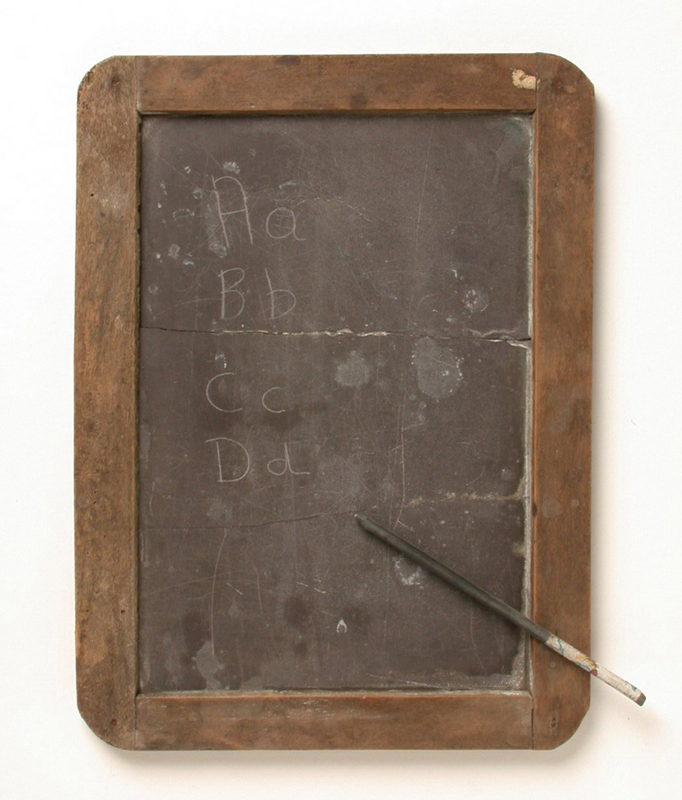 When about seven, they progressed onto writing on slates like the one pictured here. The board was made from a piece of quarry slate set in a wooden frame. A slate pencil (not chalk) was used to form the letters. This slate pencil was often sharpened on the school wall. The advantage of slates over paper was that they could be wiped clean and used again and again. Children had to bring a dampened cloth or sponge to school so that they could clean the slate and start again but often they would use their own spit and the cuff of their sleeve! This process is the origin of the phrase 'to wipe the slate clean', which we still use to mean to make a new start, or to forget the things that have gone before. Discipline was very strict in Victorian schools and children were supposed to keep very quiet. However, slate pencils make a shrieking noise as they are drawn over the slate, so the children did not work in silence!